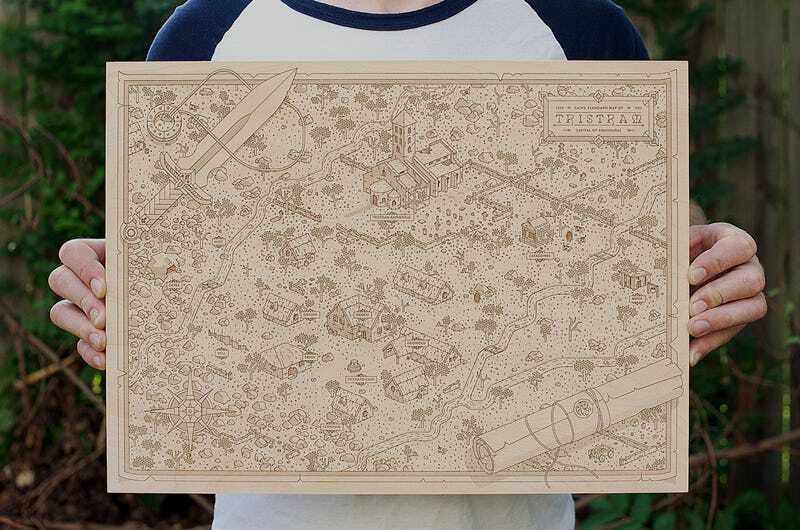 Graphic designer Alex Griendling teamed up with Neutral Ground and created a unique, laser-etched, 18” wide and 14” tall wood map of Diablo’s most iconic town, Tristram. It looks fantastic and compared to the original, it’s a very accurate map. Everything, even the peg-legged smuggler Wirt is there. Tristram’s map is not only one they’ve made. Here’s a Zelda-themed one.